Coldplay hailed the contributions of immigrants to the United States as the English rockers released a video for a new song, "Miracles (Someone Special)." Without any explicit reference to President Donald Trump and his crackdown on immigration, Coldplay made clear that the history of the United States goes beyond people of European heritage. The video starts with a wall of old photos. The shot zooms in to show immigrants arriving at Ellis Island, the station in New York Harbor through which 40 percent of Americans trace lineage. The videos intersperses black-and-white pictures of European immigrants with new Americans of other backgrounds, starting with a family of turbaned Sikhs. "You could be someone special / You've got fire in your eyes, I see Heaven inside / You'll go further than we've ever gone," frontman Chris Martin sings on the mid-tempo pop track led by keyboards. Rapper Big Sean contributes a verse in which he speaks of the struggle to earn a stable living in contemporary America. 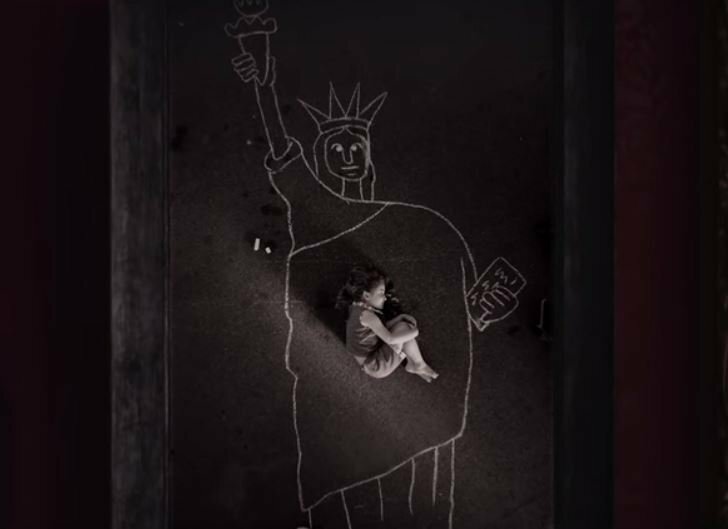 The video opens and closes with a child lying in a bosom of the shape of the Statue of Liberty, which is within sight of Ellis Island. The video came out over the weekend after the song appeared on Coldplay's EP, "Kaleidoscope," which was released Friday. It is the second song to raise social issues from the five-track EP by Coldplay, which has long been active on humanitarian causes. Coldplay earlier this month released the track "Aliens" after performing at the Global Citizen concert against global poverty on the sidelines of the Group of 20 summit in Hamburg. The band said proceeds from "Aliens" would support a charity that rescues migrants attempting the perilous trip across the Mediterranean into Europe. Coldplay, one of the most successful rock bands of the early 21st century, released "Kaleidoscope" two years after "A Head Full of Dreams," which the band had hinted could be its final full-length album.